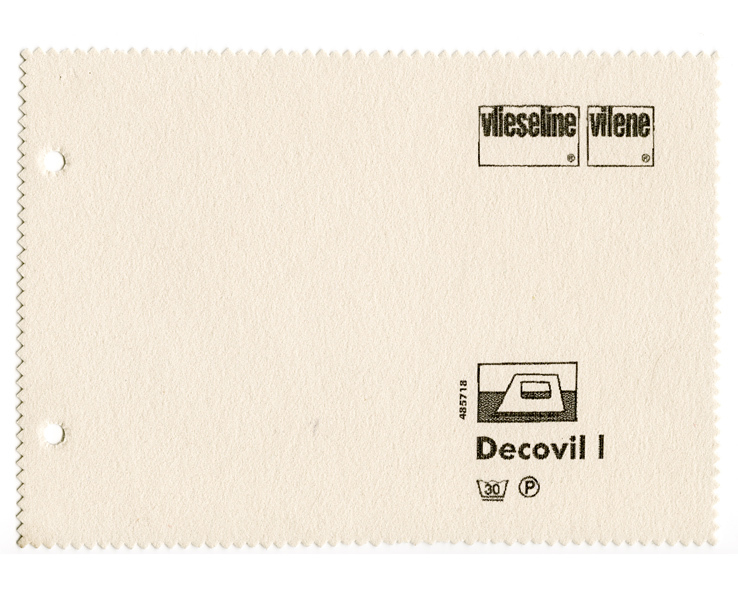 Decovil is the special kind of Vliseline that can be ironed on. Leather-like surface, rupture resistant, no fraying material. Ideal stiffener for your bags, handbags, belts, hats, baskets etc. 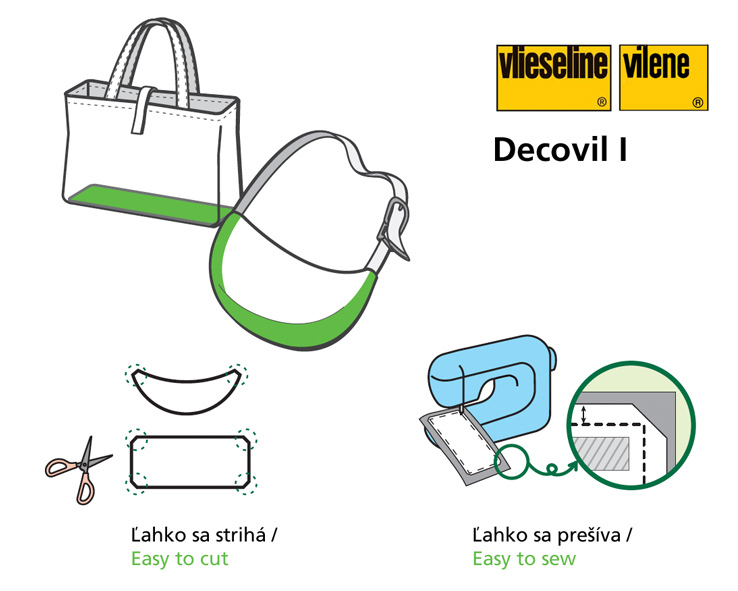 How to use: Decovil is to be ironed through a moistured rag during 6 cesonds. Keep your iron temperature at "wool" grade, work in steps. Care: Washing at 30°C at low speed or dry-cleaning.